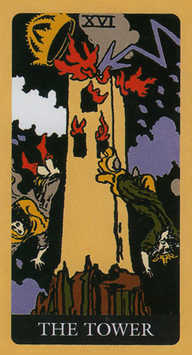 The Tower brings with it the need to tread carefully, changes are afoot and it can be a very traumatic time and unless the foundation to your life are firm this card can bring sweeping changes. Having said that The Tower leads to a conclusion and great healing is usually found afterwards. This card is a catalyst for transformation and changes. Have a long hard look at all aspects of your life. Is there something you are denying to yourself? Do you have a gut feeling about someone or something that you are ignoring? Know that ‘this too shall pass’ whatever drama. crisis or upheavel is afoot it will pass and clear the way for a new reality. This is a very significant card. The Tower is bringing sudden change that can often feel like an upheaval. 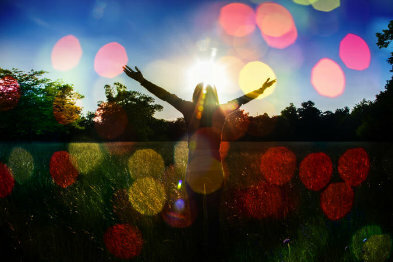 Sometimes it is only dramatic events that release us from situations that no longer serve us. After The Tower comes great love, healing and inspiration.